Hi girls, how is your Monday going? It is unbelievably freezing! To distract myself from this horrible weather, I’ve been reading some amazing blogs. Quite a few of them have featured interior design posts and even though I’ve been blogging for almost 2 years now, I don’t think I’ve ever featured furniture in a post! So, I thought it would be nice to show off some fabulous items that I would include in my ‘dream house’. Now as a label lover, if I had to pick any brand to design my house with, it would have to be the Donna Karan Lenox range. The best way to describe this collection is glamorous and classy. 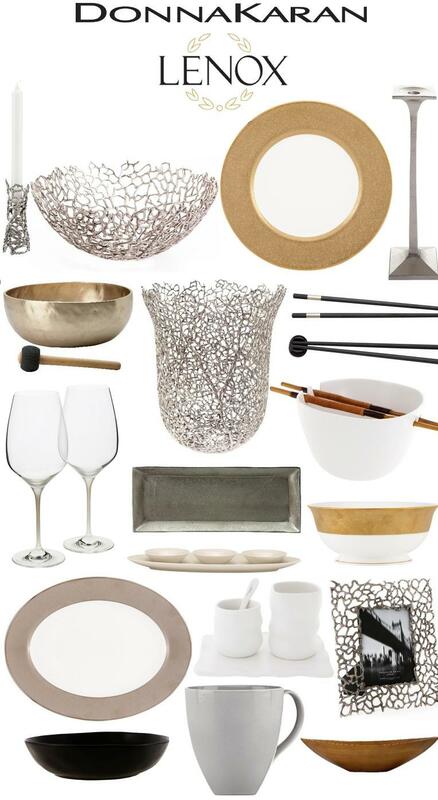 The collection really is gorgeous, they remind me of something you see in a Hollywood film – very Marilyn Monroe ;) It has a very unique look, as it's described in the collection "International Cuisine" so you know that different elements of cultures have been put into designing this fabulous set. I’ve put together a little collection of all of my favourite pieces, it was quite hard picking my favourites but I hope you like what I’ve selected.